For some years Waitakere City Council has been working with local communities to improve the quality of their waterways by upgrading and finding new technologies for on-site wastewater systems. Piha has some of the cleanest streams in the region in the parkland, but bad things happen when they enter the built area. An On-Site Wastewater Liaison Group was set up with Council and community reps. Simon Brown was Piha’s rep. Then in local areas there were Local Water Agenda Groups which worked on improving on-site treatment plants. In Piha the group was Kubi Witten-Hannah, chair of the Waitakere Community Board, Simon Brown and Graeme Caley. In 2006 an Action Plan was developed and a second one was produced in September 2010. The report documents the successes and achievements of the groups and spells out tasks for the future. In Piha the group was successful in amalgamating and upgrading the failing systems of the Bowling Club and RSA and the two surf clubs made improvements to their systems. 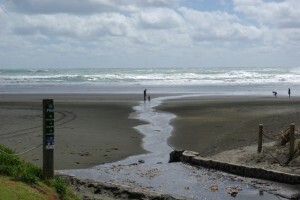 Recent reports show that water quality in the Piha Lagoon has subsequently improved. 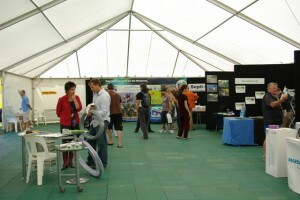 New types of on-site systems have been trialled, including Septi-Cure at Piha and Karekare, which involves adding a biological additive to septic tanks. Most residents noted an improvement in odour from their systems. The most ambitious project was Project Pipi at Huia, which replaced the ageing community hall system with a wormorator-plant filter evaporation system.